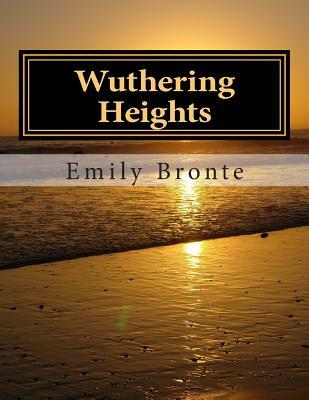 BIOGRAPHY Emily Jane Bronte (30 July 1818 - 19 December 1848) was an English novelist and poet, best remembered for her only novel, Wuthering Heights, now considered a classic of English literature. Emily was the third eldest of the four surviving Bronte siblings, between the youngest Anne and her brother Branwell. She wrote under the pen name Ellis Bell. Early life and education Emily Bronte was born on 30 July 1818 in the village of Thornton, Yorkshire, in the North of England, to Maria Branwell and Patrick Bronte. She was the younger sister of Charlotte Bronte and the fifth of six children, though the two oldest girls, Maria and Elizabeth, died in childhood. In 1820, shortly after the birth of Emily's younger sister Anne, the family moved eight miles away to Haworth, where Patrick was employed as perpetual curate; here the children developed their literary talents. After the death of their mother in September 1821 from cancer, when Emily was three years old, the older sisters Maria, Elizabeth and Charlotte were sent to the Clergy Daughters' School at Cowan Bridge, where they encountered abuse and privations later described by Charlotte in Jane Eyre. At the age of six, Emily joined her sisters at school for a brief period. When a typhoid epidemic swept the school, Maria and Elizabeth caught it. Maria, who may actually have had tuberculosis, was sent home, where she died. Emily was subsequently removed from the school, in June 1825, along with Charlotte and Elizabeth. Elizabeth died soon after their return home. Death Emily believed that her health, like her sisters', had been weakened by the harsh local climate and by unsanitary conditions at home, the source of water being contaminated by runoff from the church's graveyard. She caught a severe cold during the funeral of her brother Branwell in September 1848 which led to tuberculosis. Though her condition worsened steadily, she rejected medical help and all proffered remedies, saying that she would have "no poisoning doctor" near her. At noon, Emily was worse; she could only whisper in gasps. With her last audible words she said to Charlotte, "If you will send for a doctor, I will see him now," but it was too late. She died that same day, at about two in the afternoon, while sitting on the sofa at Haworth Parsonage."